As I’ve announced in the previous post about sharing my well done chocolate cupcakes with lavender buttercream! 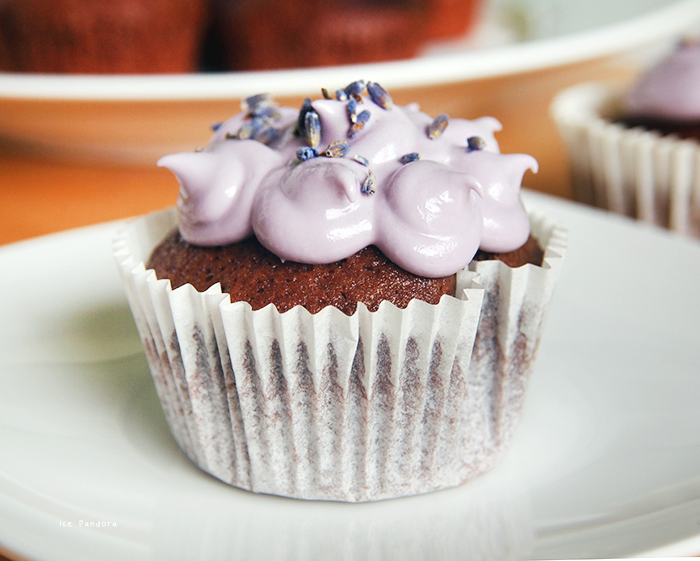 Before this cupcake and before seeing chefs actually using lavender in their food, lavender to me only existed in soapbars and of course being a fragrant flower. It is important that you don’t get too excited adding in your lavenders otherwise it doest taste like a soapbar. And this makes people unhappy. I thought the cupcake itself was lovely but the buttercream with lavender was a totally surprising experience! 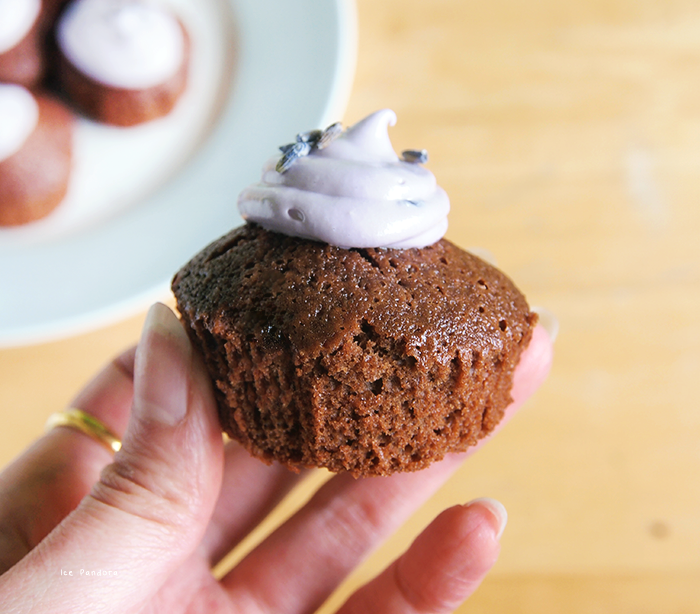 Op de vorige post zagen jullie het waarschijnlijk al: de chocolade cupcakes met lavendel botercrème! En dit wil ik graag met jullie delen met een recept! Voordat ik überhaupt lavendel in mijn eten gooi, kende ik lavendel alleen in zeepjes, geurkaarsen en natuurlijk als een gewoon paarse bloem die ook kalmerend op je lichaam schijnt te werken. Lavendel heeft een sterke geur dus ga niet te fanatiek en vooral niet teveel in je eten doen. 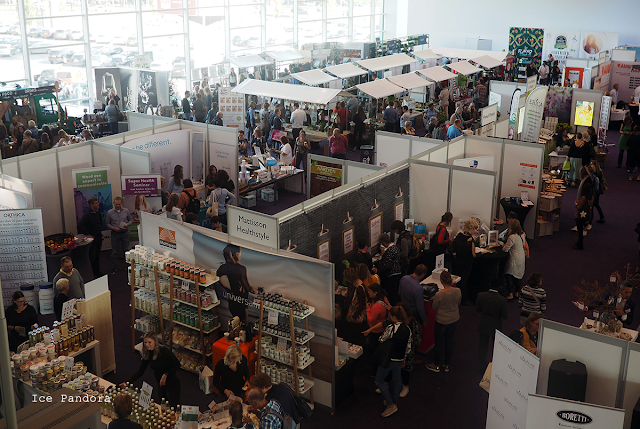 Want dan smaakt het inderdaad naar zeep en dat willen mensen (en de maag) niet. 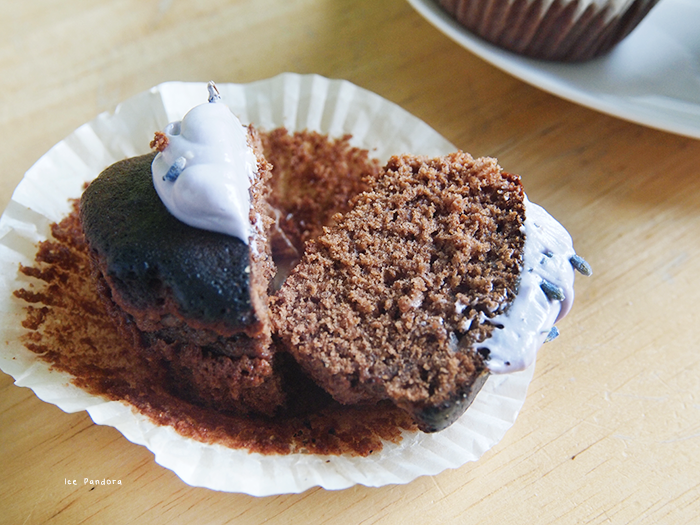 Texture: moist and sticky in a good way. I've bought these edible dried lavender in Hong Kong, but you can easily get them in the organic groceries and Chinese food markets. 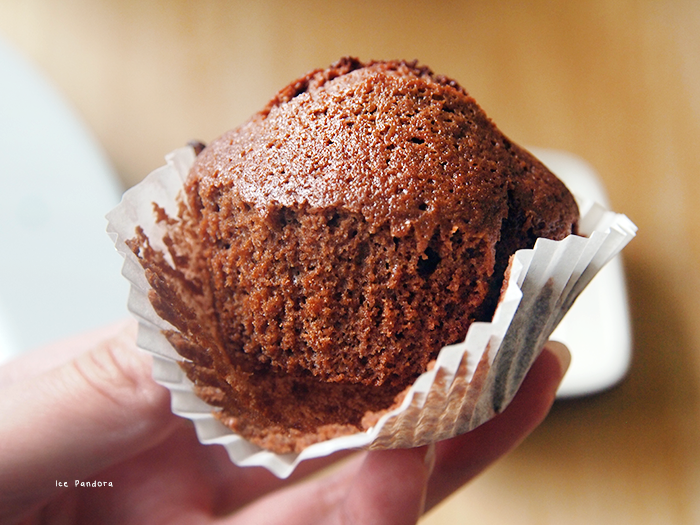 Pre-heat oven to 180°C degrees and line your muffin pan with your favorite papercups. Melt the butter in a saucepan over low heat and add in: sugar, the 1 tabelspoon honey and chocolates until everything is melted together. Once that is done, remove from heat and let it cool down a bit before we add in our egg yolks (I waited 10 minutes, cuz we don't want our yolks cooked..). 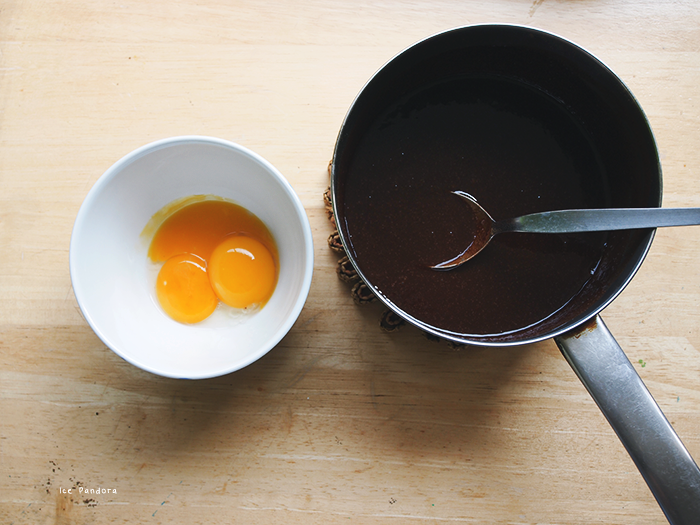 Add in our egg yolks and combine well! 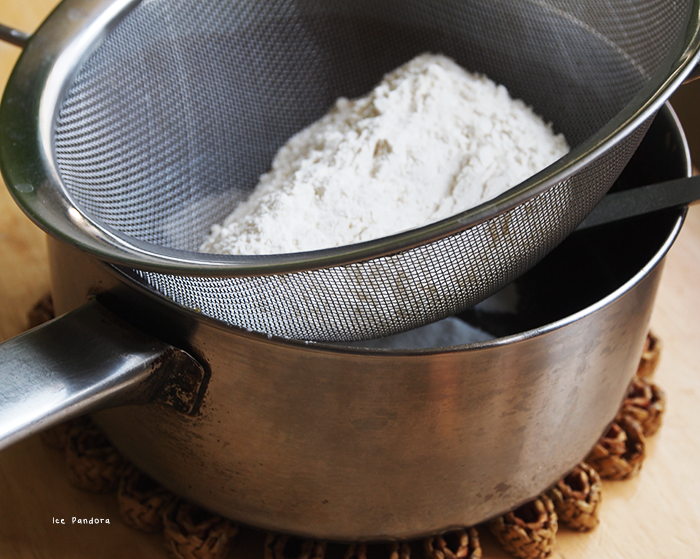 Add in our sifted flour and mix well! With the eggwhites, we are going to make it stiff peak, so grab your handmixer! 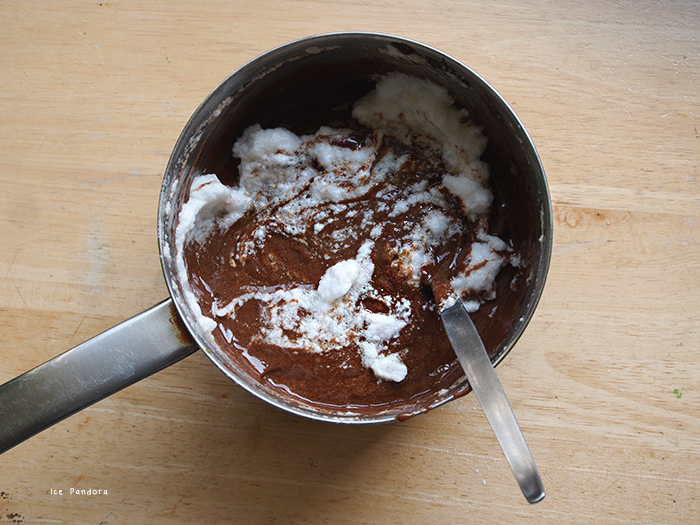 Once the eggwhites has reached its stiff peaks, fold into our chocolate mixture. 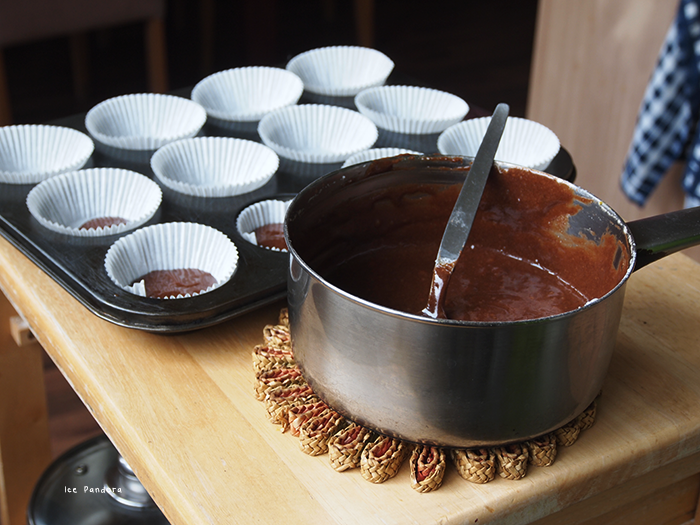 Scoop your chocolate mixture into our prepared muffin pan (scoop them for about 75% inside the cup). 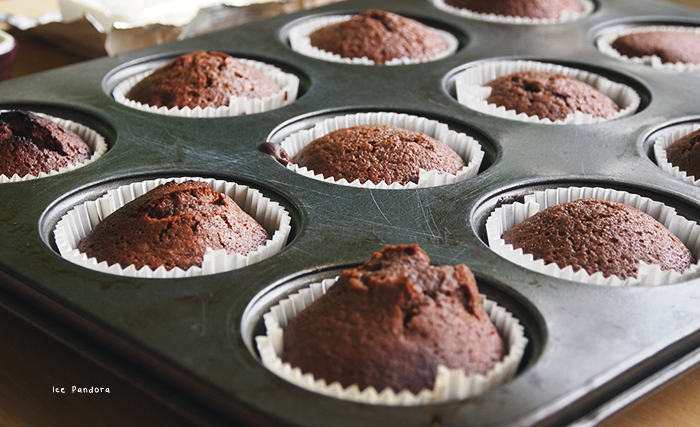 Bake your cupcakes for 40-45 minutes. I turned the pan after 20 minutes for a more dividing. 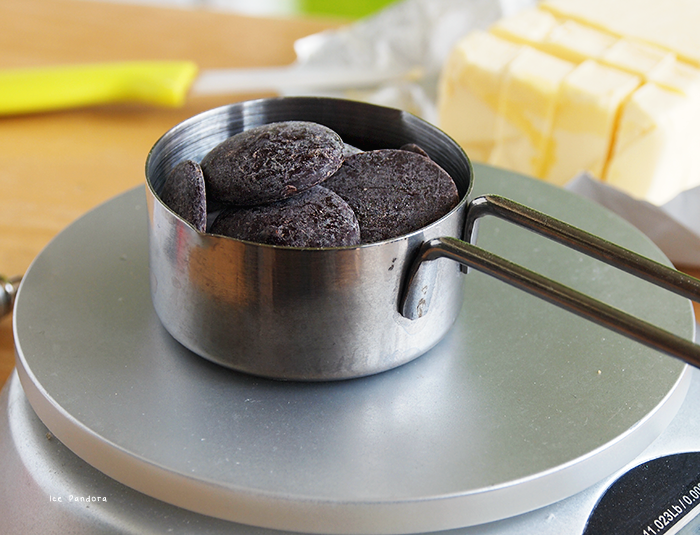 Once baked, remove from oven and let them cool down completely. Handmix the creamcheese and butter until smooth and well combined. 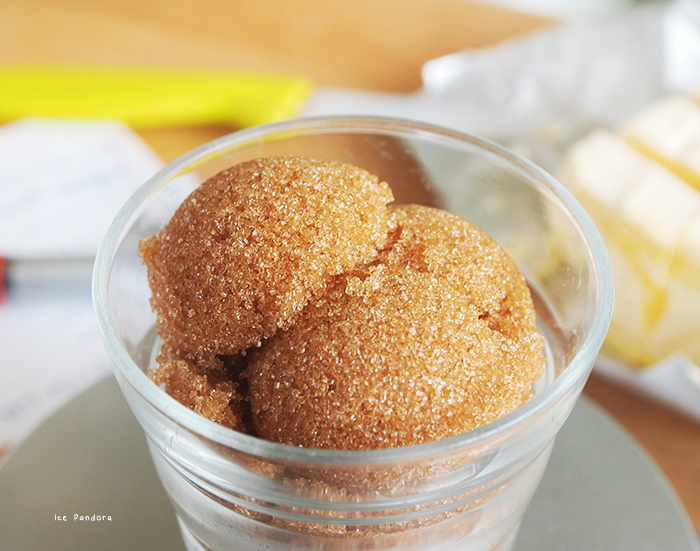 Add in the icing sugar and combine with a metal spoon. Then add in the lavender and food coloring until everything is nicely fragrant and purple. 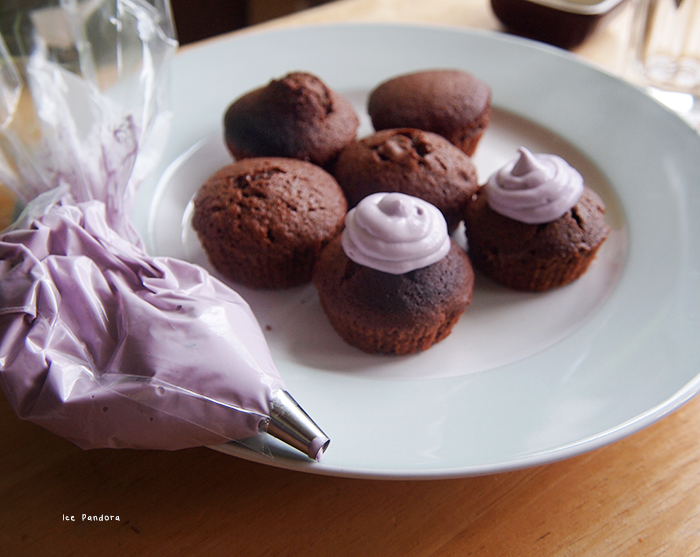 Scoop the buttercream mixture in a piping bag with a cute nozzle. the color of the cake is so great! yum yum yumzzz! Ik houd van wat bloemige sensaties. Ziet er goed uit :)! 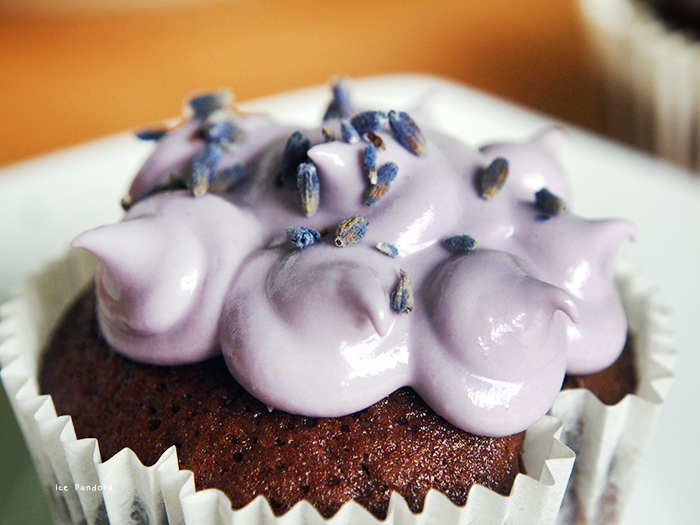 It looks so delicious, I want to try making this since I never tried the taste of lavender too. looked really yummy and lovely in color too!! can you courier some to me?haha..you're the chef!! i love the lavender frosting and sprinkles! what a beautiful touch! 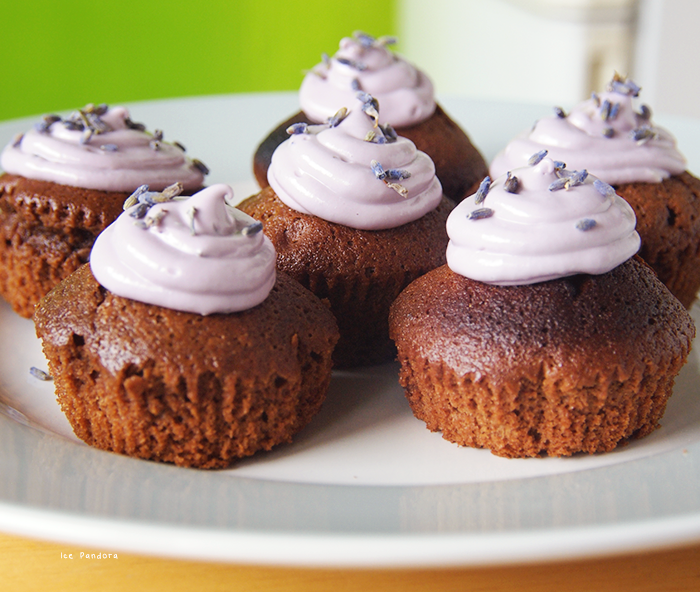 Wow, these look amazing and lavender buttercream sounds delicious! Dit ziet er echt ZO lekker uit! how amazing! i don't think i ever considered baking and using real flowers. 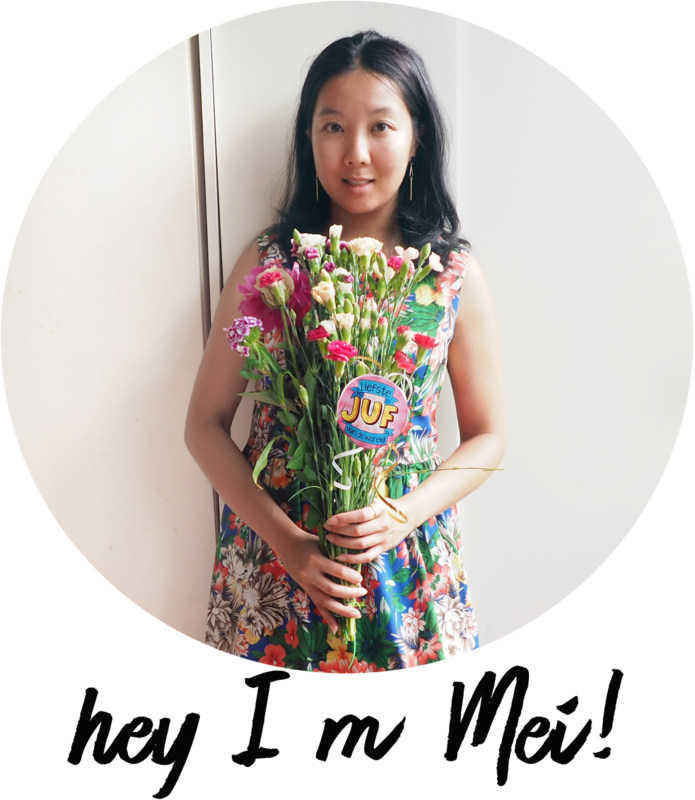 such a great follow up to your rose one too! 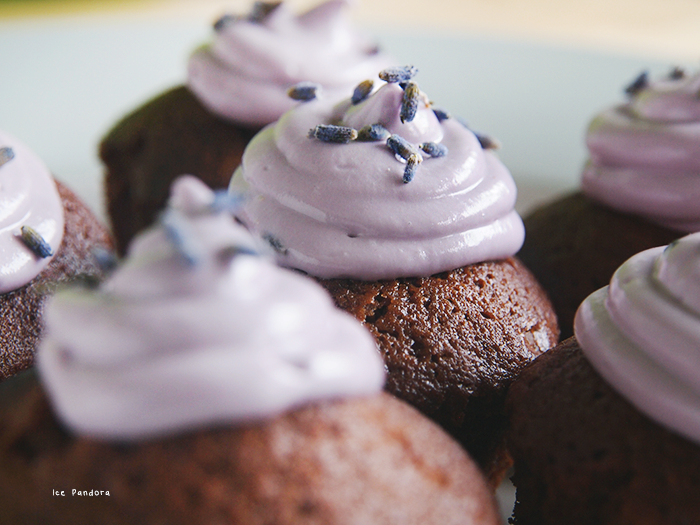 lavender buttercream sounds so light and lovely! Ziet er heerlijk uit! Dit moet ik gewoon proberen!